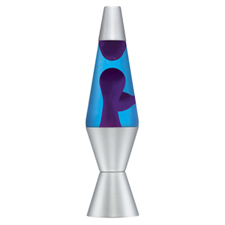 1/2 Price Sale on Lava lamps, motion lights, lavalamp, lava lites and giant lava lamps. 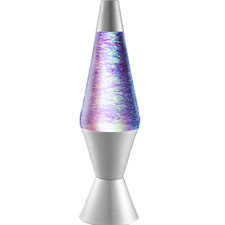 The Lava Lamp consists of an illuminating bulb, a glass bottle containing a transparent oil and translucent wax (although other combinations may be used), and a metallic wire coil. 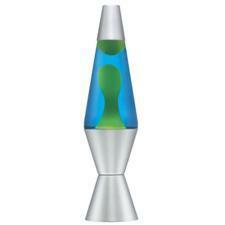 The glass bottle sits on top of the bulb, which heats its contents. 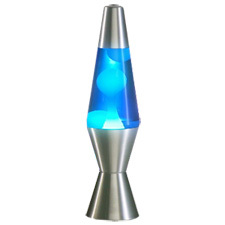 The metallic wire coil is hidden in the base of the lamp, on which the glass bottle is sitting. The wax is slightly denser than the oil at room temperature, and slightly less dense than the oil under marginally warmer conditions. 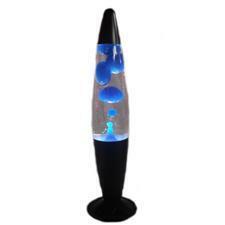 This happens because the wax expands more than the oil when heated. 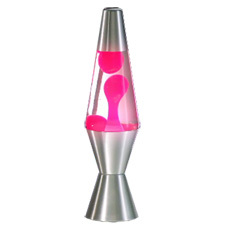 When the lava lamp is turned on, the light bulb heats the bottom of the glass bottle and the metallic wire coil, which in turn heats the contents of the glass bottle in this vicinity. 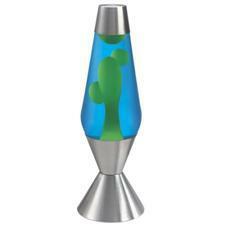 Wax at the bottom heats until it melts, and eventually becomes less dense than the liquid above it. At this time, a portion of the wax rises towards the top of the container. Near the top, away from the heat source, the wax cools, contracts, and as its density increases it begins to fall through the liquid towards the bottom of the container again. This is a macroscopic, visible form of convection heat transfer, although it also occurs on a molecular scale within the liquid itself. The difference in temperature between the top and bottom of the globe is only a few degrees. One mass of wax may rise as another falls. 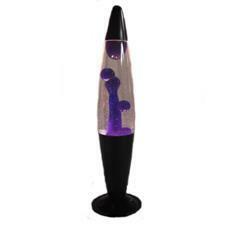 The metal coil at the bottom helps to overcome the surface tension of the individual wax droplets, causing the descending blobs to coalesce into a single molten wax mass at the bottom of the container. The cycle of rising and falling wax droplets continues so long as the bottom of the container remains warm and the top of the container remains cool. 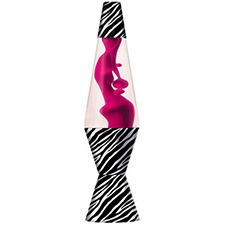 Operating temperatures of lava lamps vary, but are normally around 140 °F. 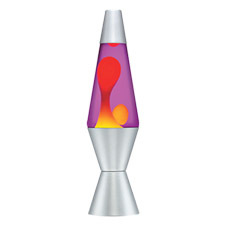 If too low or too high a wattage bulb is used in the base, the "lava" ceases to circulate, either remaining quiescent at the bottom (too cold) or all rising to the top (too hot).